The newly formed Jindal-owned club from the Garden City has signed Rooney - Sean Rooney from Blacktown City FC, Australia. 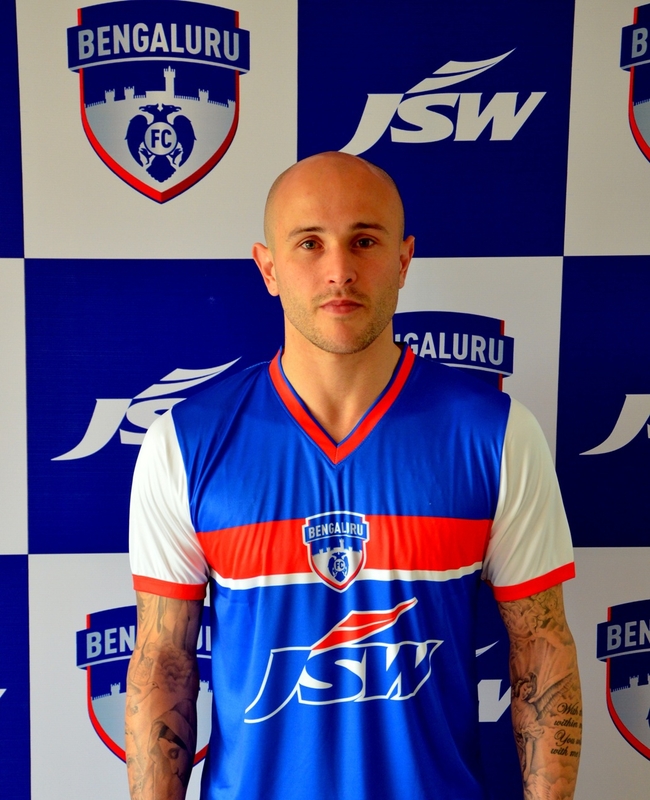 With this signing, Bengaluru FC completes their share of foreigners including an Asian quota player. The other foreigners include John Johnson, Curtis Osano and John Menyongar. Rooney plays as a striker and has signed Bengaluru FC on a one-year deal. Rooney is no stranger to the I-League having played a season for Goan side Salgaocar before moving back to Australia with Blacktown. "I'm delighted to be back in India and it seems that this club is doing everything right, so it’s good to be part of it. I did speak to a few people before signing and they all had good things to say about Bengaluru FC. Along with helping the team produce a good brand of football, the aim is obviously going to be winning trophies with them," said the 24-year-old who arrived in the city late on Friday. The Australian had a successful last season with Blacktown, scoring 14 goals for the club. Rooney’s former stints include one with Newcastle Jets in the A-League – Australia’s top tier football league and he has also had three appearances for the national under-20 team. "We have been tracking Sean’s performances with Blacktown and he has had a fantastic season to say the least. What he also brings with him is experience in the I-League and it’s just the combination we are looking for," said Mustafa Ghouse, CEO of JSW Sports. "Sean has been in form, scoring 14 goals last season. If we are going to be a successful side, we're going to need goal scorers. We have a good strike force in Sunil, Robin, Karan, Malemnganba and Beikho but we like to have competition for places and Sean's signing assists that. He looks in good shape and is a player who takes care of himself on and off the field," said coach Ashley Westwood on the club’s new signing.